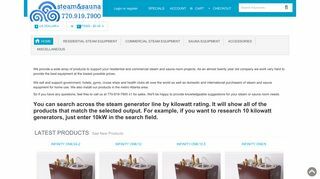 Network Consultants, Inc. – A wide variety of steam and infrared sauna rooms. – A wide variety of steam and infrared sauna rooms. Contact Us Complete the fields below to contact this listing author. © Copyright 2013-2019 Bizdow.com All Rights Reserved. Any and all trademarks used herein are hereby acknowledged as the property of their respective owners.Bizdow.com is a division of We Empower Inc.